TRUMPF has been in business for more than eighty years now. The company specializes in metal cutting power tools, particularly for sheet metal processing and can be used in a plethora of constructions. TRUMPF Group is one of the largest manufacturers of production metal fabrication equipment. 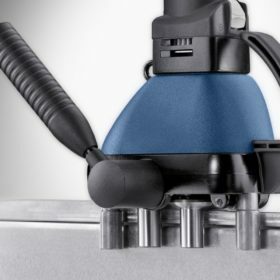 The line of TRUMPF TruTools are largely focused on metal cutting, sheet metal fastening, beveling and deburring tools for sheet metal processing; covering steel fabricating and sheet metal fabricating power tools. FABTECH SOLUTIONS offers a complete product selection of TRUMPF Metal Fabrication Tools For Sale! 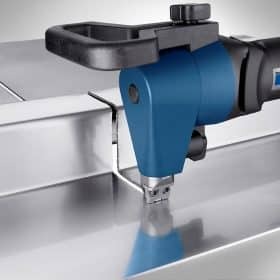 TRUMPF TruTools are a line of metal cutting power tools and a brand that all metal and steel fabrication shops are very familiar with. TRUMPF produces high quality steel fabricating tools and sheet metal processing tools. These are among the most reliable and durable in the world. The TruTool series is a bestseller of TRUMPF. The company makes a host of sheet metal cutting power tools; including power nibblers and cutting shears as well as panel cutters. 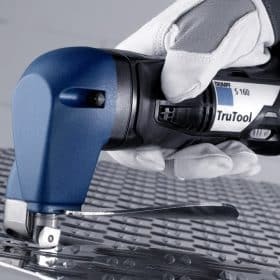 The TRUMPF TruTool Beveler works spectacularly for precise right-angle or interior cutouts, notches and plate beveling. The TruTool Bevelers have a 90 degree adjustable blade that can cut preassembled panels and get the job done in one operation. The tool is widely used by builders, carpenters, roofers and for facade construction. The tool is also used by contractors working on heating systems, air conditioning and insulation. TRUMPF also makes electric nibblers to make sheet metal processing simpler. The TruTool Nibblers are well equipped to handle thick sheets and plates as well as flat and corrugated pieces of sheet metal. 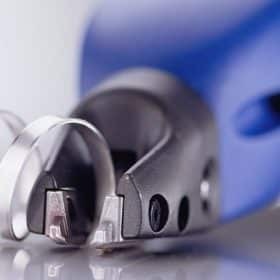 The TruTool Profile nibblers have an amazing flexibility and the ability to maneuver allows for effective processing of profile sheets. Among the steel fabrication tools and sheet metal processing tools, TRUMPF has several best sellers in it’s line of Fastening Seam Lockers. 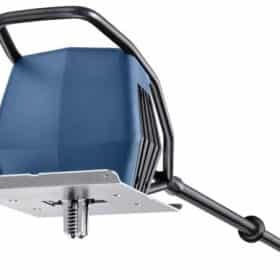 These TruTools allow for operating in tight corners and angles, working with a continuous roll forming principle these Seam Lockers ensure an air-tight closure with out hammering. Sheet metal deburring is easy with TruTools allowing for a variety of finishing approaches to fit the needs for your shop. The TruTool TF 350 Power Fastener has no need for pre or post processing of materials allowing for smooth and efficient work. 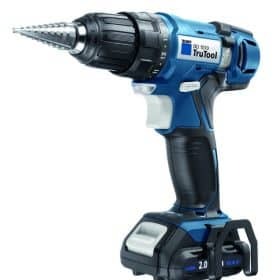 The TruTool DD 1010 has a superb drill design allowing for punching of holes and drilling screws across a variety of work surfaces. TRUMPF also makes a slat cleaner, the TruTool TSC 100 that can remove rigid slag of stainless steel. 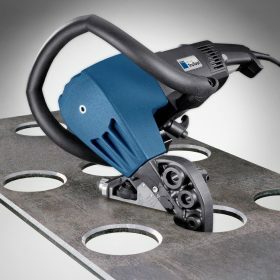 The TRUMPF TruTool DD 1010 is a top performer for every metal fabrication shop. TRUMPF has fitted this new industrial-quality tool with 17 torque steps and an additional drilling step. Equipped with a fast charger, the rechargeable 2Ah battery can be fully charged in 30 minutes. Mainly used to start drill holes in steel plate or sheet metal, it is also effective to drive screws and drill holes in a variety of other materials. TRUMPF TruTool TSC 100 Slat Cleaner makes it possible for a single person to clean the slats of your laser cutting machines, with no downtime. The TSC 100 improves the quality and productivity of sheet metal production while eliminating the need of using a hammer to remove the steel slag. An ergonomic design allows for comfortable use while the slat cleaner automatically adjusts to varying slag thickness.